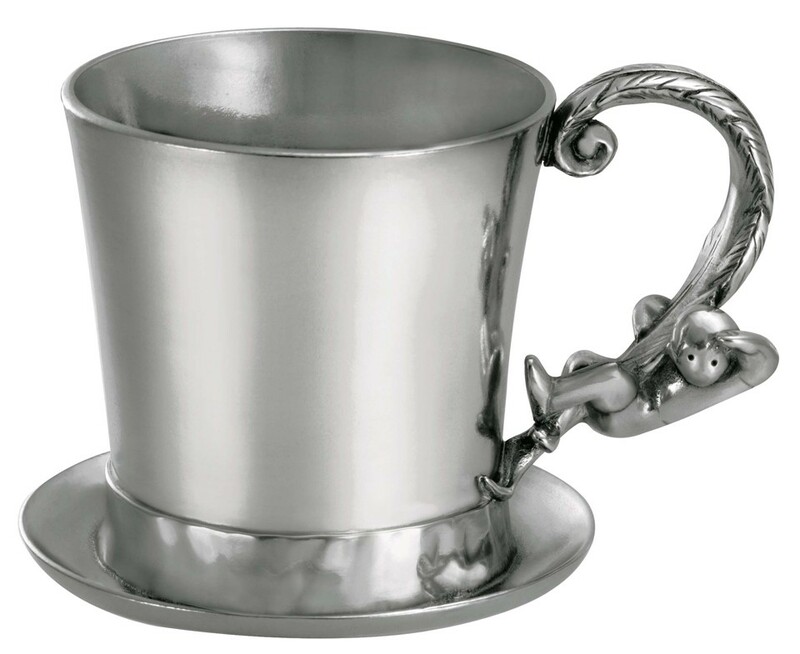 A well-known hero in English folklore, Tom Thumb is depicted on this lovely pewter baby mug. The thumb-sized boy is sculpted clinging onto the delicate feather-shaped handle. 12cl.